Dear Teacher, Dyslexia is not lazy and absolutely not stupid. It is simply a different, often more constructive, definitely more creative way of seeing the world. 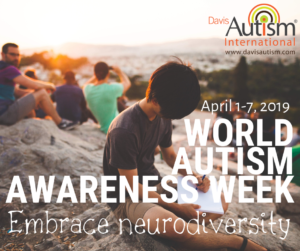 A Davis Programme can help you or your child use their innate ability to overcome the problems they find in school or the workplace. This letter, posted by Decoding Dyslexia, Utah, is equally valid in the UK. Dyslexics need the respect and understanding called for in this letter, as we all do. 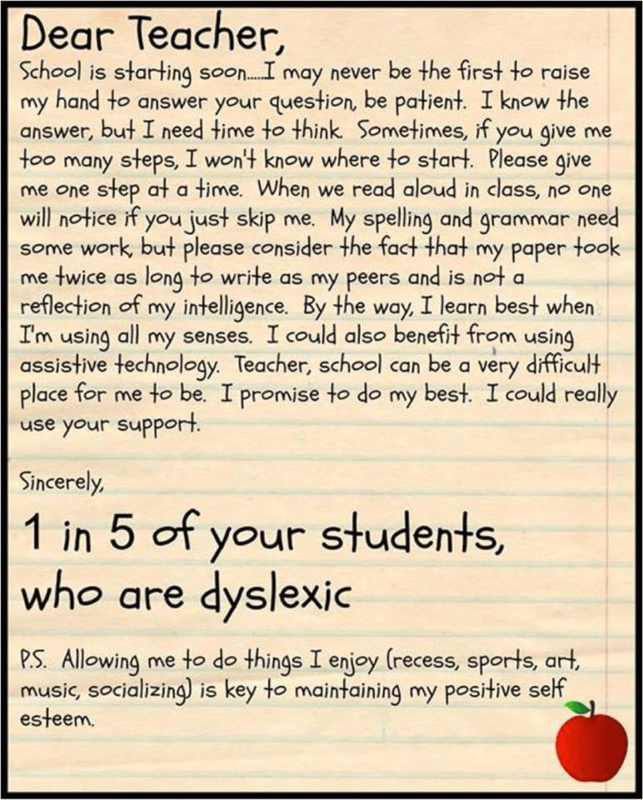 Many, if not all, of our dyslexic children would agree with the heartfelt plea in this letter to their Dear Teacher. Many dyslexics in the workplace would hope their employers could take these sentiments on board. However, this is not always the case. Contact a facilitator near you for a free informal consultation. 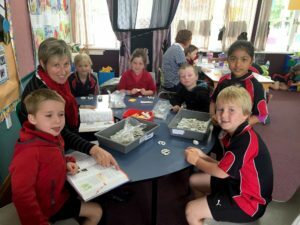 Find out more about the remarkableDavis approach to dyslexia, and all related SpLD. Read the amazing Why Tyrannosaurus But not If. A book providing a dyslexic blueprint for the future of education. Written by a teacher with teachers in mind!